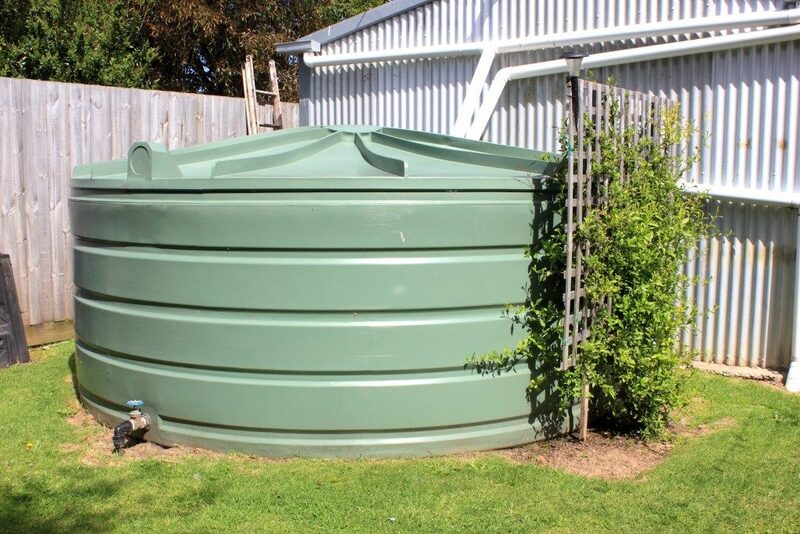 Water storage tanks come in a range of sizes and shapes so that they can cater to the needs of different clients. Slimline water containers are especially appropriate for people with limited space and those who would like the installation to blend in with the surroundings easily. During winter, water freezing is a common concern. Here are some things that you can do to prevent freezing in your water tank. When choosing a tank, you should bear the freezing temperature in mind. The container should be well designed to offer insulation against freezing as well as prevent the growth of algae once the weather heats up. This way, you are assured of a steady and safe supply of water. Another option is to use tank insulation. Most suppliers offer covers for the tanks to ensure that heat does not leave. One way to gauge the quality of a tank is scrutinising its warranty. One with a five-year guarantee is likely to offer more value than one with a shorter guarantee. This way, you will know that it can handle the elements of freezing without splitting. Another quality to look out for is a sloping cover. When your tank has a flat cap and ice builds on it, the temperature inside it reduces. This drop increases the chances of water freezing. A sloping cover and top prevent the formation of ice. Also, use a larger tank as a large volume of water takes longer to freeze compared to smaller amounts. One way to keep water from freezing is keeping it moving. When the tank is refilled, the incoming water is usually warmer than that in the tank. With a consistent cycle of water usage and replacement, there is delayed freezing. It is no wonder, then, that plumbers recommend turning on faucets to allow water to trickle down during winter and prevent pipes from freezing. To give the water room to move, utilise the tank water on a regular basis during the winter. When water freezes, it results in the expansion of metal pipes. Eventually, these pipes will break when they can’t take any more pressure. 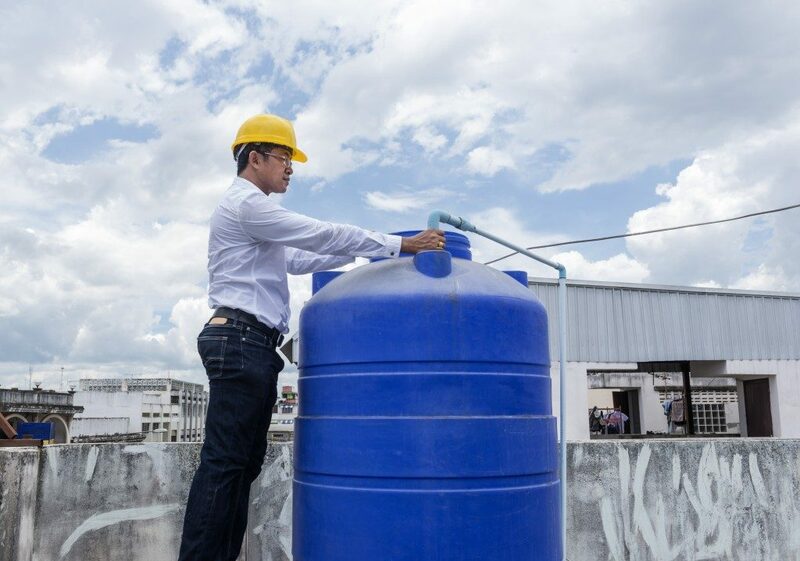 If there are pipes and hoses attached to the tank, choose material that will handle the expansion. Where necessary, disconnect hoses from the container. Also, keep checking the pipes for leaks once the temperatures rise. If you are concerned about your water tank, install a water heating system. You can install an elaborate one on the tank’s walls or immerse a simple heater in the water to keep it above freezing point. In the end, a frozen water tank is disastrous. Since water expands when frozen, it can result in irreparable damage on your tank. It is better to prevent this than wait to deal with the consequences. With prior preparation and proper care, you will effortlessly avoid frozen water in your tank. If you feel unsure about what to do, consult a professional immediately.